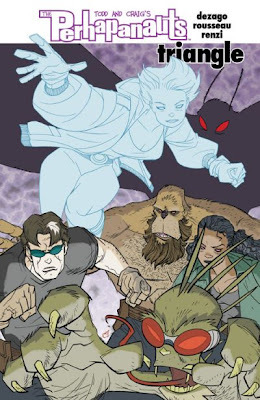 perhapablog... and other ramblings: More Perhapanauts...! 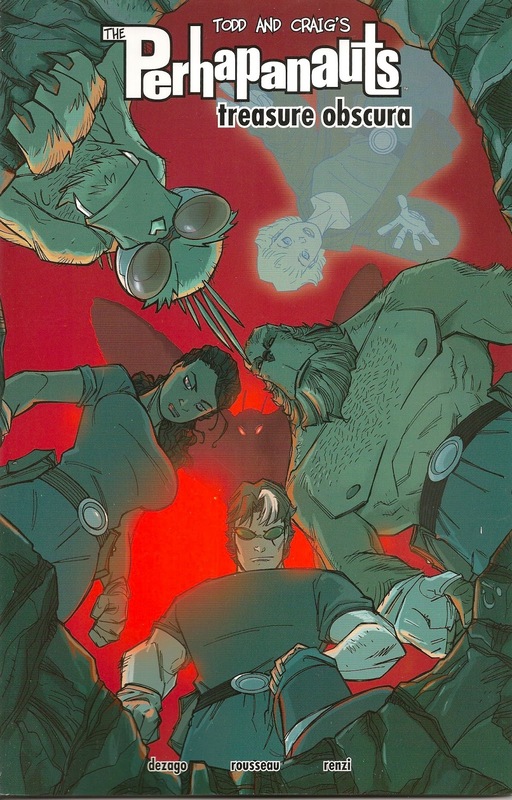 the other day we received a letter from a brand new perhapanauts fan (we like those...) telling us that, while she was thrilled to happen upon a copy of our Perhapanauts: Triangle trade on a recent excursion to her local comic book store, she was a bit confused by the numbering (and even moreso by my mentioning other nonexistent issues in the letters columns...). i take full responsibility and apologize for the mess, a result of our switching companies and format as the industry continues to morph around us. And, currently, the five issue mini-series Perhapanauts: Danger Down Under! 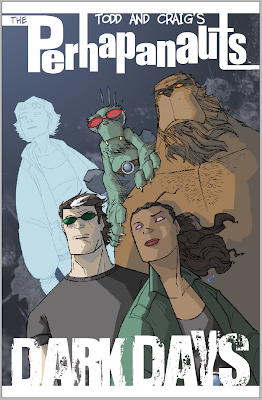 no.s 1-5, issue 5 on sale June 5th! so, i love to listen to books. i live in a fairly rural area and just running out to the store to pick up milk or bread or something takes a good 15-20 minutes each time (yes, i try to do my shopping all at once. i love listening to books, but i don't make extra trips for myself just so i can listen to more of a story. often.) i love to read as well but, in that i'm in the car so much, it's nice to make the most of that drive-time in an entertaining and inspirational way. 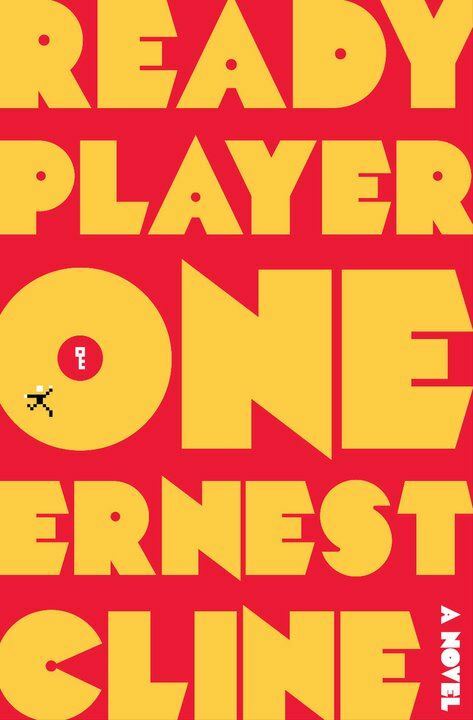 a year or so ago i raved about a book called ready player one by ernest cline. i still say that if you haven't read this gem your doing yourself a disservice. i read it first then listened to it a few months later. read by wil wheaton, it made it new and unique and i highly recommend it. 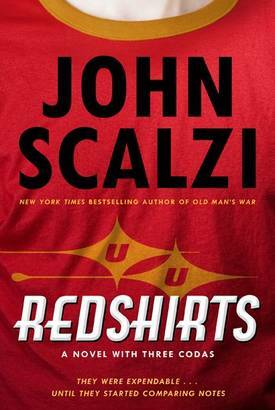 so, out to capture that same fun, fast-paced, sometimes humorous type of adventure, i let amazon suggest some similar titles and happened upon john scalzi's redshirts, also read by wil wheaton. again, lots of fun and whether you're a star trek fan or not, a solid story with lots of fun and lots of heart built right in. check it out. 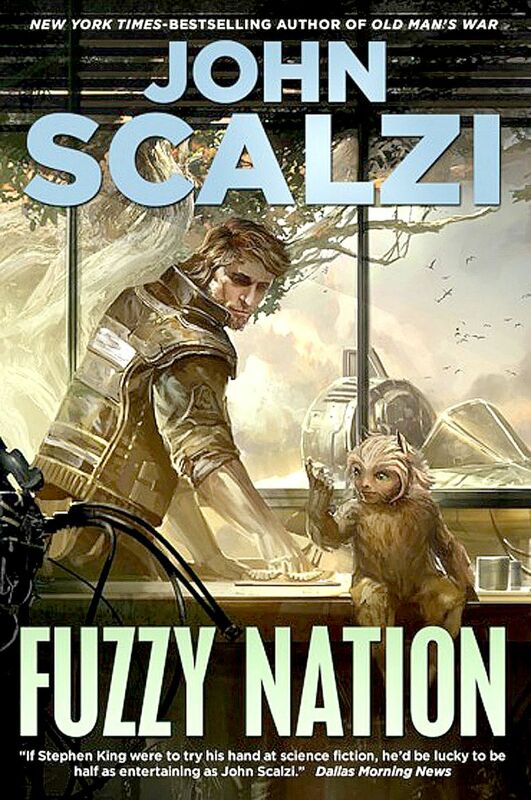 which then led me to one of scalzi's other books (he is quite prolific) called fuzzy nation. having already read h. beam piper's fuzzy trilogy back in the early eighties (they were written in the early sixties), i was quite familiar with the concept of a race of cute, furry creatures discovered on a far-off planet that were fighting to be recognized as sentient. it had been some good, solid science fiction back then. i loved them. apparently, john loved these books too and went ahead and wrote a re-boot that i can't listen to fast enough! suspenseful and unpredictable, i'm all over this book! also, read by wil wheaton (and yes, maybe it's wil who makes these books come alive so well!) i say take any one of these great adventures as the soundtrack to your next great adventure, in the car, on the beach--fantastic summer reading...or listening! double feature by owen king--haven't finished it yet, but really enjoying it. owen easily shucks the yoke of being steve's son and has a voice and a rhythm all his own. the hidden persuaders by vance packard--a book from 1957 written as a warning to the public regarding the use of psychology and manipulation into the world of advertising. weird u.s. vol.2--the weird new jersey guys give us a second helping of strangeness across the lands. i love the weird books and saw this at b&n for $6 and couldn't resist. okay, that's it for me. whadda YOU reading? we'll be ramping up for the arrival of PERHAPANAUTS: DANGER DOWN UNDER! no.5 over the next few weeks so don't miss out! there'll be trivia, prizes, and all kindsa fun! tell your friends! You loaned me READY PLAYER ONE and I LOVED it. Wil Wheaton (or, Wil Wheaton, as I call him) reads a mighty fine audiobook. I'll have to check out the other books. I've been on the fence about trying Owen King's book and you just tipped me over. Once I do, I'll have read books by 4 of the 5 Kings. Come on, Naomi. Gets ta writin'. I'm currently reading 11/22/63 by Uncle Stevie. I can't put it down. My life is on complete hold until I finish it. Fantastic story. Comics: DAREDEVIL, WALKING DEAD and a few other Image books are about it for me. On the comic side I'm currently reading The Sixth Gun, Fatale, The Rocketeer, East of West, Atomic Robo, Hellboy and American Vampire. In terms of novels, I just finished Frozen Heat and Heat Rises, the books that are supposed to be written by Richard Castle, the character Nathan Fillion plays on Castle. The books represent a twist on the usual movie/TV novelization as they represent a fictionalized version of the already fictional world upon which they are based. Both were true page turners that I really enjoyed. Thanks for lettin' me know you're reading, Guys!! Matt--Yeah, I LOVED 11/22/63 and enjoyed the ride the book took me on! Certainly one of King's best and a true work to shut all those "his best work was back in the 80s" naysayers up. I've listened to some of Joe's stuff and didn't find myself all that engaged, but that was listening so I think I need to actually read some of his stuff and see if I feel differently. I'm really enjoying Owen's Double Feature and like his cadence. Brian--Sharon's read a couple of those Castle books and I think Craig has listened to one...? two...? of them and said nice things. I love the characters on the show--they're all really good--but in the past season or so I've found myself becoming frustrated with how very staged and cliched the procedural part of the show has become. Come on, Writers!! If I wanna watch Law and Order, I'll watch Law and Order. And everyone--you included--keeps telling me about The Sixth Gun--I guess I'd better check that out. Thanks again, you guys! I've been reading an online comic that my son is involved with called Lady Sabre and the Pirates of the Ineffable Aether. Steampunk pirates and cowboys. Neat stuff. They started their Kickstarter campaign to put out a hard copy of Lady Sabre a few weeks ago and have been very successful with it. My comic pull list is down to Morning Glories, Invincible, Fables, and, of course, the 'Haps. And I added on Astro City today. It's been a year or so since I read a novel and I think it was a YA book called Goth Girl Rising by Barry Lyga. I have a stack -- a BIG stack -- of novels that I need to start tackling soon. I love The Sixth Gun! Great writing! Just ordered DOUBLE FEATURE. Looking forward to it.